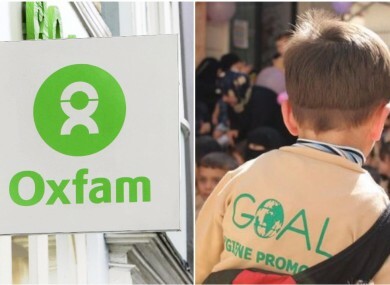 TWO LEADING IRISH charities, Oxfam Ireland and GOAL, are entering discussions surrounding a possible merger of the two organisations. The move comes after the boards of both organisations agreed to explore the possibility of an amalgamation into what could become a global development agency called Oxfam GOAL. If the plan goes ahead the new agency will be headquartered in Ireland. It is not yet known whether there will be job losses between the two organisations, but it is believed that there may need to be a reduction in staff numbers to avoid duplication of positions. Oxfam Ireland chief executive Jim Clarken said, “We are very excited by the prospect of a successful merger. GOAL’s action-oriented approach and first responder ethos is core to their DNA and has saved millions of lives. Oxfam’s approach of practical action and people-led response, challenging the structures and systems that keep people locked in poverty, has led to real change across the world. Bringing our organisations together will increase our scale, which means we can deliver greater impact for people in poverty and in crisis. Commenting on the proposed merger, GOAL general manager Celine Fitzgerald said, “In looking to its future, GOAL has assessed the merits of continuing as a standalone entity or achieving a step change in scale and impact in the delivery of humanitarian support and advocacy. According to one source, GOAL started looking at its options last autumn and began talking to Oxfam which has since progressed into formal negotiations. Last month, GOAL announced 25 redundancies across its office in Dublin and London. The charity said at the time that the redundancies were necessary due to a ‘tighter funding environment’ while aiming to prioritise their relief efforts. Both organisations have a history of working in Ireland. This year, GOAL is celebrating its 40th anniversary in Ireland and Oxfam has been operating in Ireland since the 1950s. It is believed that if the merger is to go ahead, the process could take up to a year to complete. Email “Two leading charities, Oxfam Ireland and GOAL, enter into merger negotiations ”. Feedback on “Two leading charities, Oxfam Ireland and GOAL, enter into merger negotiations ”.